Tuberculosis is an infectious disease that typically affects the lungs and causes serious complications if left untreated. Periodic tuberculosis testing is essential for those who are exposed to the bacteria that causes the condition. If you’re a healthcare worker, for example, you might undergo tuberculosis testing once or twice per year. Hopefully, the results will always be negative, but if not, here’s what you should know. Because tests sometimes yield false positives, further tests will be needed to confirm results. 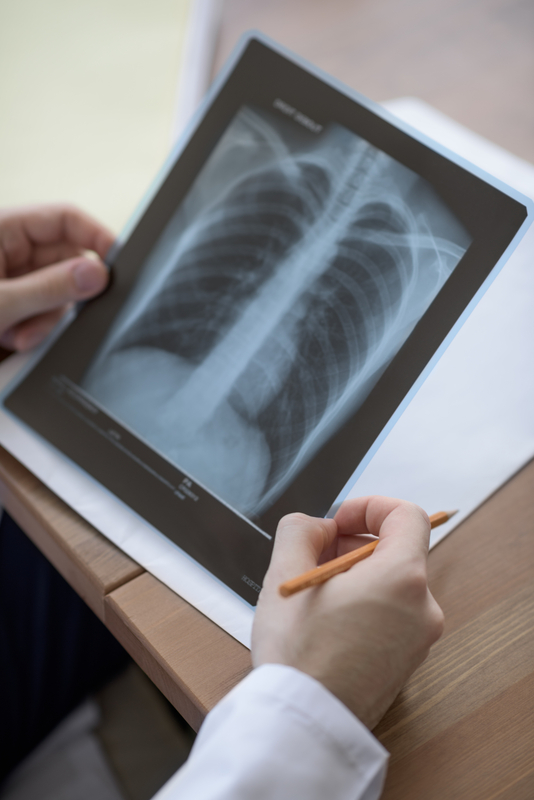 Positive test results typically warrant a chest x-ray, which allows your provider to determine if the condition is active or latent. If the images are not detailed enough, you’ll undergo a CT scan, as well. Blood and phlegm tests also provide information regarding the extent of the disease. Once your medical team has a clear idea of your condition, they’ll recommend treatment. Treatment will depend on a variety of factors, including your health status, which strain you have, whether you’ve previously had the disease, and whether the infection is latent or active. If you have an active infection, your doctor will also want to ease the symptoms while treating their underlying cause. Those who have an inactive infection must typically take medication for six to nine months, while those with the active variant usually take three or four different prescriptions for nine to 12 months. Those with active infections are sometimes also isolated to prevent the spread of the disease. It’s critical to follow your doctor’s instructions precisely and finish each round of medication, even if you feel fine before the treatment has ended. Otherwise, you could end up developing a drug-resistant strain of tuberculosis, which is much harder to treat. Fortunately, the disease is curable if you follow your doctor’s treatment regimen. The prognosis for recovery is generally positive, though it worsens if complications develop, if you’ve previously had tuberculosis, or if you’re elderly or immunocompromised. Tuberculosis vaccines aren’t commonly used in the US due to a low incidence. But if you’re a healthcare worker, or often travel to regions where the disease is more prevalent, ask your doctor or vaccination clinic if the vaccine is right for you. If you need tuberculosis testing in Virginia, head to HealthSmartVaccines. Located in Chantilly, this clinic offers tuberculosis testing and comprehensive immunization services. They’re dedicated to keeping their community healthy and well-informed. They even provide on-site vaccination clinics for employers who want to keep their workers healthy and do their part to protect the general public. To learn more about their services, check out their website or call (703) 961-0733.